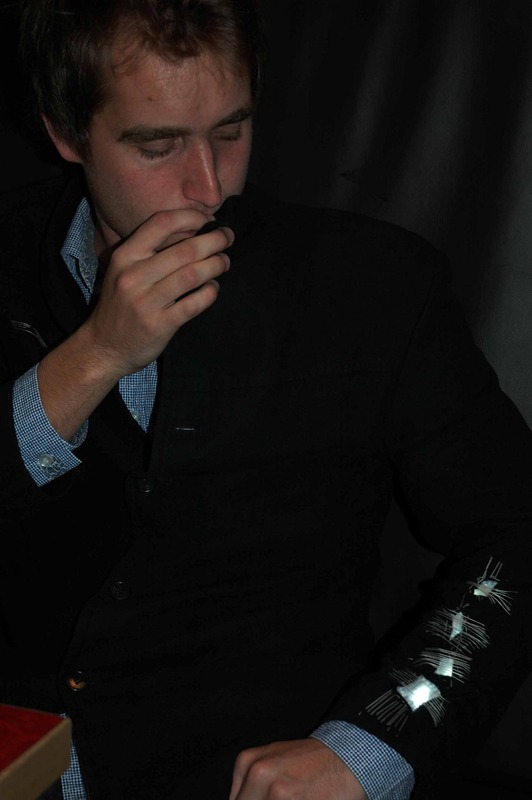 For those of you who can’t hold your liquor, Matt Leggett has designed a prototype of a whimsical breathalyzer coat. So if YOU can’t tell if you’ve had one too many, your “smarter” coat will warn you with flashing LEDs. Designed with an Arduino, an alcohol sensor and a simple LED display, the breathalyzer coat aims as a deterrent to drunk driving. Curious if your blood alcohol level is over the limit? 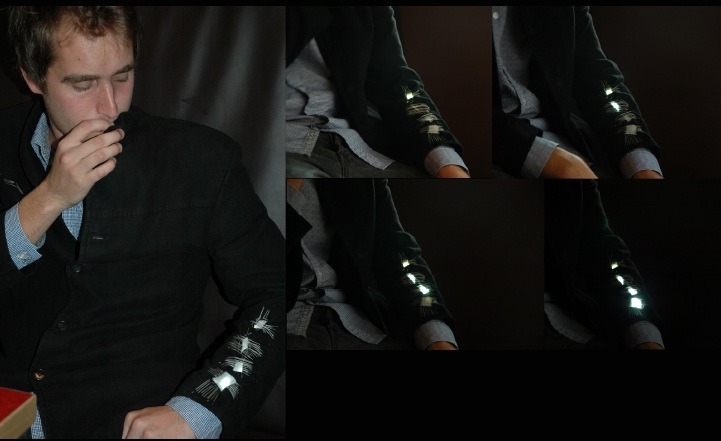 Just blow into the alcohol sensor located in the collar of your coat and watch the LEDs light up on your sleeve, indicating your drunkenness level. Next up, a Breathalyzer Dress? !